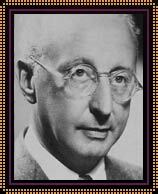 When Jerome Kern died in 1945, America lost one of its greatest and most beloved composers. Harry Truman, who was the U.S. President at the time of Kern’s death, was quoted as saying in David Ewen’s book, COMPOSERS FOR THE AMERICAN MUSICAL THEATRE: “[Kern’s] melodies will live in our voices and warm our hearts for many years to come. … The man who gave them to us earned a lasting place in his nation’s history.” In 1946 Metro-Goldwyn-Mayer released a lavish musical film biography of Kern, TILL THE CLOUDS ROLL BY, with appearances by Judy Garland, Frank Sinatra, Lena Horne, and other stars. The centennial of Kern’s birth was celebrated in 1985, which saw the issuing of a U.S. Postage stamp in his honor, as well as the release of more recordings and performances of his music. “Show Boat,” the most enduring of his works, continues to enjoy Broadway revivals. There is no sign that Kern’s legacy is in danger of fading. Jerome David Kern was born in New York City. He studied piano with his mother and in high school was often asked to play piano and organ and compose music for school theatrical productions. In 1902, at the age of 17, he tried his hand at a business career working for his father, who owned a merchandizing house. But the young Kern’s enthusiasm for music led to his ordering 200 pianos from an Italian dealer instead of two — the number he was supposed to purchase. This action almost cost his father his business, and to Kern’s relief, it was agreed that he should pursue a career in music. Kern enrolled in the New York College of Music in 1902 and in 1903 went abroad to study music in Germany. He took up permanent residence in London, where he began writing songs for British musical hall productions. A year later, he returned to New York, taking jobs with music publishers — first the Lyceum Publishing Company and then Shapiro-Remick. At this time, British productions dominated Broadway. Kern was hired in 1904 to adapt one of these shows, “Mr. Wix of Wickham,” for the Broadway stage by “Americanizing” some of the numbers and by writing some additional songs of his own. 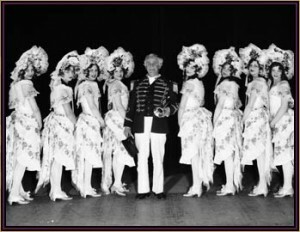 In 1915 Kern began writing musicals for the Princess Theatre in New York. The 1910s were a productive and noteworthy period for Kern. He married an English woman, Eva Leale, in 1910 and in 1914 had his first hit, “The Girl from Utah” — another adaptation of a British show. In 1915 Kern began writing musicals for the Princess Theatre in New York. These productions, “Nobody Home,” “Very Good Eddie,” “Oh Boy!,” and “Oh Lady! Lady! !,” were distinguished by a new approach to musical theater, developed by Kern in collaboration with librettist Guy Bolton, and, beginning in 1917, the talents of lyricist P. G. Wodehouse. Kern wrote his most important work, “Show Boat,” in 1927 with lyricist Oscar Hammerstein II. The production, which included the songs “Ol’ Man River,” “Can’t Help Lovin’ Dat Man,” and “Make Believe,” is notable for the richness of its music and its influence on other Broadway composers, who saw it as a model of writing for the musical stage. Today some believe it reflects racist attitudes; protesters tried to ban a 1993 revival in Toronto, Ontario, Canada, but the production went on to great success and re-opened on Broadway in 1994. The groundbreaking 1927 musical "Show Boat," created by Kern and Oscar Hammerstein II. A close examination of “Show Boat” reveals that it is actually quite progressive for a show that was written in 1927. The plot, involving a woman who is prohibited from performing on the show boat because she is bi-racial and is married to a white man, is compelling, as is the song “Ol’ Man River,” which is the complete antithesis of the more upbeat tunes popular at a time when many whites did not wish to acknowledge their injustice to African Americans. “Show Boat” was made into a film musical three times — in 1929, 1936, and 1951. In 1954 it became part of the New York City Opera’s standard repertory — the first musical to be adopted by an opera company. The 1930s saw a string of Kern musicals: “The Cat and the Fiddle”; “Music in the Air”; “Roberta,” which was made into a film starring Fred Astaire and Ginger Rogers in 1935 and which included the song “Smoke Gets in Your Eyes”; the Astaire/Rogers film musical SWING TIME, featuring “A Fine Romance” and the Oscar-winning “The Way You Look Tonight”; and VERY WARM FOR MAY, which was a flop but from which the song “All the Things You Are” — perhaps Kern’s best song, if not the best popular song by any composer — survives. In the 1940s Kern moved to Hollywood and devoted the rest of his career to writing music for films. He contributed the songs “The Last Time I Saw Paris” to LADY, BE GOOD, “Dearly Beloved” to YOU WERE NEVER LOVELIER, and “Long Ago and Far Away” to COVER GIRL. He died in New York in 1945; his last score was for the film CENTENNIAL SUMMER, which was released in 1946. Most of Kern’s manuscripts were assumed for decades to be lost. But in 1982 hundreds of manuscripts by Kern and other Broadway composers were found in a warehouse in Secaucus, New Jersey. In an article in THE NEW YORK TIMES on March 10, 1987, the year that the manuscripts were inventoried after having been moved to Manhattan, Kern scholar John McGlinn was quoted as saying that the discovery was “like opening the tomb of King Tut. There are major works here that had been presumed lost forever; shows that were never revived and were assumed to have vanished off the face of the earth.” Included among the findings were the complete scores for “Very Good Eddie,” “Leave It to Jane,” and “Sunny,” and the original manuscripts of “Ol’ Man River,” “Can’t Help Lovin’ Dat Man,” and music that was cut from “Show Boat” after the 1927 production. This “lost” music was added to a 1988 recording of “Show Boat,” restoring the musical to its original glory. Source: Excerpted from CONTEMPORARY MUSICIANS, VOLUME 13, Gale Research, © 1994 Gale Research. Reprinted by permission of The Gale Group.